A dehydrated cheese that can be stored at ambient temperatures, making it long-lasting and convenient. 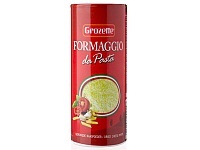 Delicious sprinkled over pasta, pizza, salads and soups. 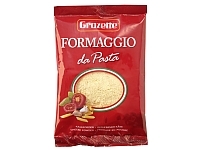 The cheese powder with bruschetta is excellent for sprinkling over pasta dishes. In addition, the mix can also be processed very well in sauces, dressings and soups. A dehydrated cheese that can be stored at ambient temperatures, making it long-lasting and convenient. 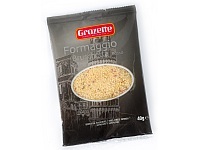 Delicious sprinkled over pasta, pizza, salads and soups. The shaker is equipped with a shaker lid for convenient use, and can be placed on the table. Powdered cheese is a dried product, which means it has a long shelf life and can be stored outside the refrigerator. A shaker of Gouda cheese powder consists of 100% pasteurized Gouda cheese and is used for sprinkling on pasta dishes, used in sauces, dressings and soups. The Gouda cheese gives the powder a rich cheese flavour. 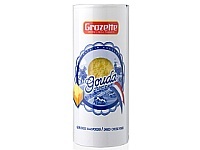 Gouda powdered cheese is packaged in a traditional Dutch-style packaging. The shaker is equipped with a shaker lid for convenient use, and can be placed on the table.